Sorry about skipping a post last week. I flew out to a convention for my birthday, then came home to deal with some con flu. But since then I've gotten better and jumped back onto the saddle! 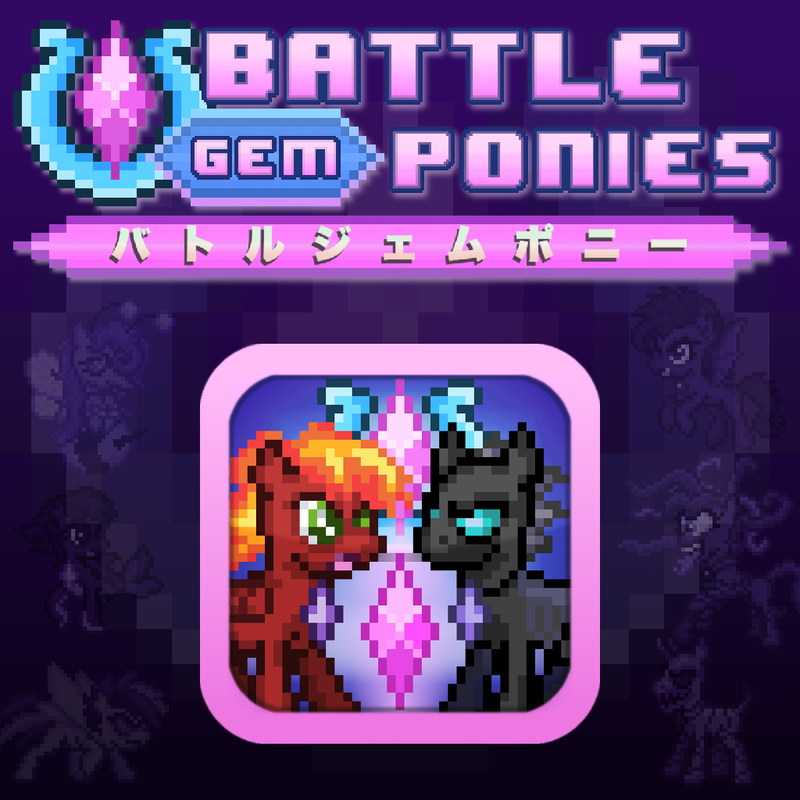 Here's an update on the development of Battle Gem Ponies! 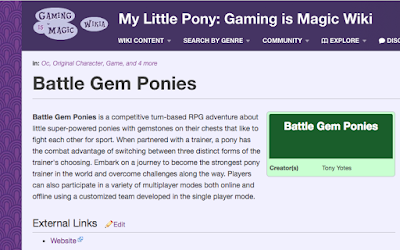 I've been watching a lot of game retrospectives and design analysis videos in my spare time and taking notes of things that work well and common pitfalls. 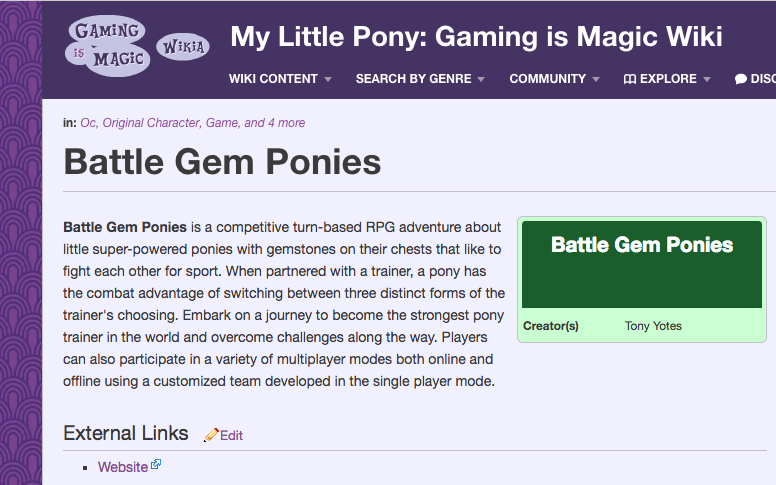 It's pretty barren at the moment, but I noticed that someone put up an MLP wiki page for Battle Gem Ponies. It'd be neat to see how it fills in over time. I may just make a super detailed one myself like EvoCreo did once the game is in beta though. Time to get back to filling in all those placeholders then coding the meat of the game into existence! No time to waste.